Looking at the case of Singapore, how could Disney’s ideology survive after his death through his company’s influence on urban planning and development of “real” cities? Walt Disney died before accomplishing his dream: built the city of tomorrow based on a controlled community. After shaping a successful theme park he aspired to a bigger scale, a “Disney world”, organized according to modernist and futuristic principles. Composed by an airport, an industrial park, a city called Experimental Protocol Community Of Tomorrow (EPCOT) and the existing theme park, all linked by a high way, he wanted to lead his “Imagineers” to design the “community of the future” and a place of innovation on a virgin land. Even after his death his ideas remained through the Disney Company and were executed twenty years after in the new town of Celebration in Florida. 16632,25 kilometers away the People’s Action Party won the single-state-party election in Singapore after the independence in 1965. Lee Kuan Yew, the first prime minister developed the former English colony thanks to its harbor, taking advantage of its location. The evolution of the town, from crowded settlements to high-rise buildings, was based on the “City in a Garden” vision of the city combined with a high technology development an economy-based survival strategy. Like in Disney’s world, consumerism is Singapore’s main leisure, and people from around Asia travel there to shop. Both meta-visions result from an ideology based on urbanism of control and consumerism. The noticeable concurrency makes it interesting to investigate the link between the conservative ideas of Walt Disney and the ideas of the urban planning department of Singapore, as well as studying the term “Disneyfication” defined by theming, hybrid-consumption, merchandising and “performative labor” applied to it. This paper aims to show Disney’s influence on planned cities, using the development of Singapore as a case study under three main themes: the city as a laboratory of control society, consumerism as the main leisure and theses cities as generic cities. In 1993, Singapore was called “Disneyland with the death penalty” by the writer William Gibson in a critique of Singapore published in Wired- that made the magazine banished. He tells his journey in Singapore, being cynical about its sanitized aspect versus its disparities, the omnipresence of the state, of the food and goods’ consumerism, ending the paper with two cases of foreigners’ death penalties due to detention of drugs. Yet, the first impression of Singapore as a clean and wealthy city, as a “too perfect” world flies away after discovering the backstage, and Gibson condenses the paradigms of Singapore in his provoking title. Going back to the concept of the theme park, a concrete realization of our fantasy of escapism day-to-day life, keeping us away from the “real” world by providing us spectacle and amusement in a realist papier-mâché décor, helps us to understand the City-state ideology. The theme park used to be a place of experimentation as showed by Koolhaas in “New York Delirious”, separated from the traditional cities freeing rules and limits. In Disneyland, Walt Disney and his “Imagineers” created for example the monorail, and in EPCOT they wanted technologies to facilitate the day-to-day life with a fluid transportation system called “Wed Transportation”. Supposed to be “a community of tomorrow that will never be completed, but will always be introducing and testing and demonstrating new materials and systems” EPCOT can be compared to the slogan of the Urban Redevelopment Authority of Singapore (URA): “Singapore, the world’s urban laboratory”. Urban experimentation started in the sixties, just after the independence from the British and Malay, and the first step was the creation of a Master Plan and political infrastructures that centralizes all the urban planning institutions that still exist today. The whole design of Singapore is the result of the PAP, dominating the parliament since 1959, since it controls directly all the institutions including those concerning urban planning (URA, Housing and Development Board, Land Transport Authority), facilitating a clear application of its ideas which includes attracting industry and technologies, introducing greeneries, developing economy, housing for all. The control of the land and the rigorous urban planning are ways to control the population through the space. 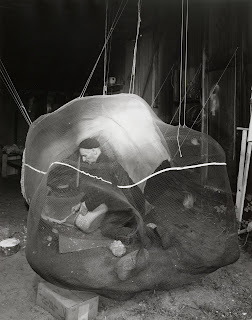 For the French philosopher Foucault the societies of the eighteen and nineteen centuries are disciplinary societies, regulated by distinct enclosed environments, at the same time space and institution, that humans go through and out in the course of their life. Deleuze explains that disciplinary societies “reach their height at the outset of the twentieth (century)”, pushing the concept further arguing that the actual western society has evolved and is now a society of control. He argues that from sequences of authority we are know in a continuous process, with no end, spread by each apparatus like school or factory using the example of the factory and the corporation. From individual and mass through the union, the corporation now replaces the old system, supported by new technologies that are omnipresent and always switched on. Control is not assured by “hard” power but by us, our participation and implication in a whole, it is omnipresent and encompasses all the “institutions”. Singapore’s urban planning is participating in making it a society of control since the government is involved in every decision concerning the city, facilitated by a centralization and control of all the powers, sometimes not obvious taking different names like Temasek. A relevant example is the game between the discourse on the lack of space and the real estate, since the URA sells land for high price and at certain periods, creating speculating values. But the control is also omnipresent in the practical daily life of Singaporean through the physical space and in culture. Indeed, the public space is invaded by advertisement to remind you to go to the doctor, to be kind with others users of the MRT or to remind you how much the state participates in “making your life better”. Also, meritocracy is highly promoted, at school, work or university. 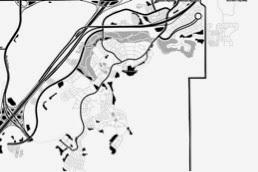 Being on a legal plan more a housing development with a downtown than a city, Celebration crossed over the implication of any institutional power since there is no political body, but an owners association that seems only concerned by the appearance of the city. Safety is undeniably a success in both cities, even if crime is not totally remote, and used to rely on laws that now are part of the culture. Another contemporary theory that is present in EPCOT, Celebration and Singapore is Baudrillard’s concept of hyperreality. According to the French philosopher, the hyperreality is the result of simulation and simulacra. Simulation is for him the experience of the “real” through our practice, for example through media or learning. The simulacrum is the representation of the “reality” -a substitution of it- where there is no meaning and that refers to itself making the original irrelevant. The hyperreality is the result of simulacra and simulation: the proliferation of simulacra in the postmodern society has lead to a disconnection from the reality throw media technologies and the loss of materiality. EPCOT, Celebration and Singapore give an eulogistic discourse on “community”, that has to be built up entirely on these tabula rasa. To link people the three cities wanted to create a specific identity, a way for inhabitants to care about the place they live in, to gather around causes, to create a sense of community. Indeed, if Singapore is today a high-rise city, housing different generations, it used to be a low-rise city and some experienced the transition from shop houses and fishermen houses to HDB. According to several testimonies the original inhabitants were relieved to leave the “slums”, but some still have certain nostalgia about their houses and neighborhoods. Documentation on the subject is hard to find letting us believe that everybody agree with the decision at the time. 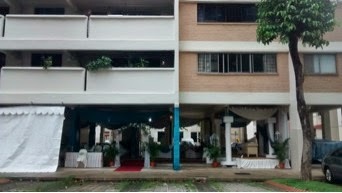 However, people had to appropriate the new city, and the typology of the slabs that house void decks on the first floor, a way to see from a good distance anything happening in the HDB reinforcing the idea of society of control, but also to meet and gather around marriages or funerals. An example of simulacrum in Singapore is the Merlion created after a competition won by Lim Nag Seng in 1964 in order to design an icon for the city. Hybrid of a lion and a fish as an allegory of the city, the fish “alludes to the idea of Singapore as a port city and its dependence on maritime trade” while the lion refers to a tale that the Malay king Sang Nila Utama “encountered a lion when he first stepped on the shores of this island” . By imitating mythology creatures the Merlion is a simulacrum, luring the visitor about the city’s history while he sees the statue in Esplanade or Sentosa. Coming back to hyperreality, this last place reminds me when Baudrillard describes Disneyland as a tool to make us believe that Los Angeles is “real” being a “deterrence machine set up in order to rejuvenate in reverse the fiction of the real”, while in fact the American city is a hyperreality. A small Island located in front of the city core, hosting Universal Studio, resorts and fake beaches, Sentosa is linked to the main Island by a bridge, giving the sensation on the way back that you come back from holidays, enter the continent: it is as hyperreal as LA. Celebration is located near Disneyland but the same approach on hyperreality can’t be used since it was built after the theme park in 1992, being its direct heir. With more than 7000 inhabitants today it can be called a town, or at least a simulation of it. 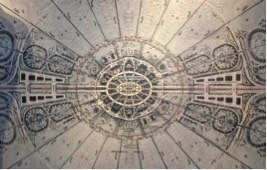 Nicknamed “The Bubble” and disconnecting its inhabitants from “real” life by its location, its selection of inhabitants and the abusive use of Postmodernist architecture, it has an aspect of décor since the buildings are poor pastiches of six styles of the past (“Classical”, “Colonial Revival”, “French”, “Coastal”, “Mediterranean” and “Victorian”). This postmodernism recalls us architecture of the past, but being only a simulacra of it, and the fact that houses mainly compose this collage accentuates the Disney aspect, veritable dollhouses at a human scale. By investing in Celebration you don’t only buy a house but a life style, entering voluntarily into this hyperreality. Hyperreality is completed by some peculiar “heterotopias” in these places. The French architect Xavier Guillot uses the example of condominium in “The institutionalization of heterotopias in Singapore” to show the implication of politics in housing and creation of a way of life, relying on Foucault’s concept of heterotopia, an “other space” that functions according to non-hegemonic rules. Indeed, in Singapore there is two main kinds of housing: HDB and condominium. 85% of Singaporeans live in HDB, social housing organized in “slab blocks” while condominium are mainly occupied by expats or the richest, providing leisure and sport amenities. Guillot focuses on condominium, a true world apart thanks to the plot ratio law specifying that 2/3 of the terrain has to remain unbuilt but not empty since it houses swimming pool, Jacuzzi, barbeque as much as facilities that maintains you, according to him, detached from the rest of Singapore. Condominiums are built near MRT stations, Highway or most of the time provide a bus shelter, amplifying the gap with HDB, and inhabitants: the contact between the inhabitant of a condominium and the city is distorted; the surrounding of the building is conceived for cars not to walk around. I would go further and argue that the plan itself of the flat in a condominium contributes to make it a heterotopia. This plan is for me extremely interesting, I found it while looking for regulation on the maid’s part of the flat after I discovered it quite surprised. 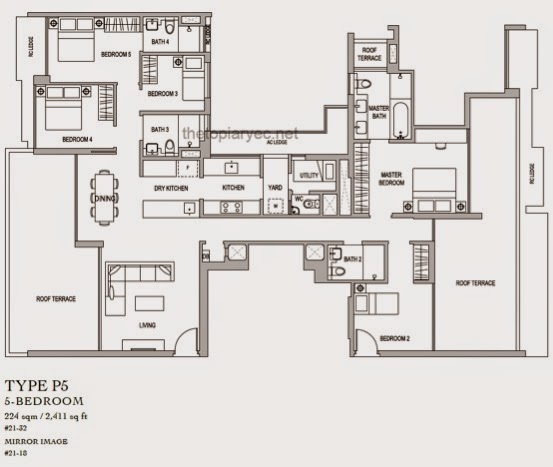 In Singapore most of the condominiums provide a maid’s room and toilets, connected to the kitchen, often quite small and without window. Families –well, mostly expat- hire them full time, pay high agent fee but only around SG$ 300 to the maid providing them room, food, like an au pair. The maids come essentially from Philippines, and have to follow strict rules, and one of them is to not be pregnant. 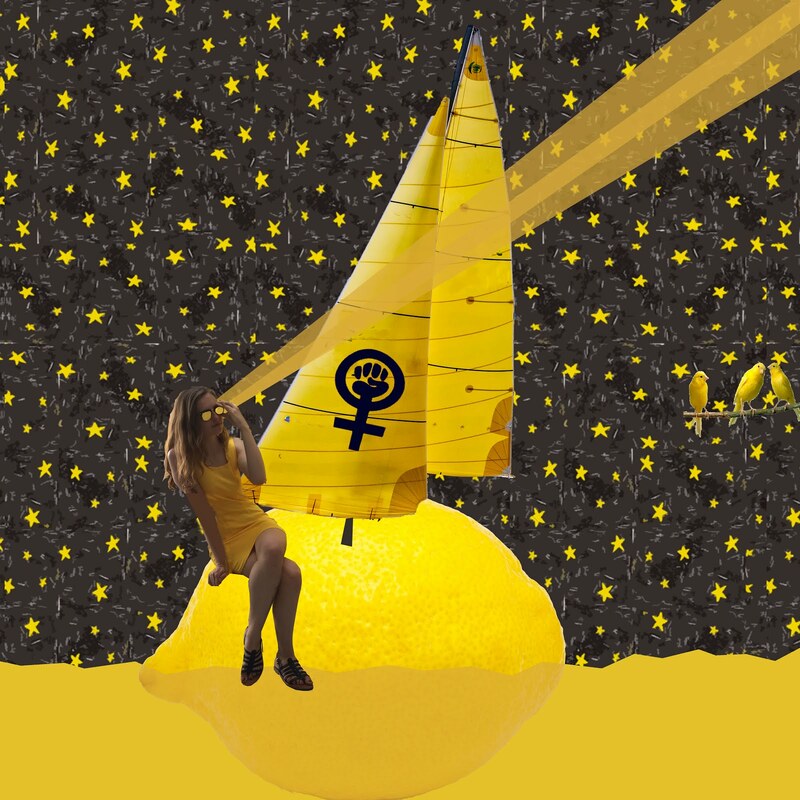 Ideology invests space but also bodies, and about hundred maids are send back home each year for breaking this rule established by the Ministry of Manpower (MOM). On this particular plan what confounds me is the legend “utility” put on the maid’s room, reducing her to a facility offered by the condominium. Guillot enlarges at the end of his article the concept to Singapore, arguing that it is a “regional heterotopia” because of it’s status of transit and melting pot integration ending by “the equation Singapore-Heterotopia shows us a realized Utopia – More’s Utopia was an island after all suspended between its eutopian promise and its dystopic shadow” Celebration constitutes a heterotopia in itself by being a Disney town, created to be the perfect town out of nowhere. Like Disneyland, which has an hidden underground travel system that serves the employees to travel from a part to another without being seen, turning it into a huge theater scene, Singapore has a backstage, located far from the city center, far from the spectacle and spectators. High disparities exist, with 85% of the Singaporeans living in HDB because they can’t afford condominium, immigrant’s workers sleeping in void decks or stocked in containers, maids living in tiny dark rooms for example explained partly for the fact that the island has the highest income inequality compared to the OECD countries. The example of workers is terrifying, penned in pick up to go to the building site in the morning and evening, they sleep in the HDB void decks at night or are parked into containers on the other side of the island, far from the show, obligated to follow as well rules and to give their passport to their employer. Homeless are prohibited in the city –just a small group escaped from the state intervention, true nomads within the Island in order to escape from the authorities- but workers living in terrible conditions are allowed and supported, since they contribute to the development of the city: exploring the wings help to understand the recent rise of the opposition. In 2013 a riot occurred in Little India after the death of an Indian hit by a bus reflection of a population tired of ethnicity’s inequalities, quickly controlled but proof of cracks in the system. The idea of backstage is different in Celebration since the scale is different and the town is “governed” by properties’ owners association. Inequality there has a tendency to stay between the town and the outside, real microcosm when you analyze the data, with a population mostly white, 60% married and with children. Celebration is the heir of EPCTO and keeps the idea of inhabitants working in the Disney spirit and many of them are working for the Disney industry. If there is no politic body to contest there, in Singapore the Workers Party (WP) override gerrymandering in Singapore during the 2011 elections and won two districts, reflect of a wave of contestation of the growing income gap, the decreasing housing affordability and foreigners’ advantages. But the space in itself is not often occupied, even if in 2001 the PAP created the Speaker’s the corner, located in Hong Lim Park not far from the city center, suppose to welcome anyone, but request a registration that don’t allow spontaneous gatherings but transformed it into an organized events’ place, such as the gay Pink Dot in May. The place is an example of the society of control: surrounded by CCTV, two Police Post located with 500 meters ready for interventions and at the same time missing water fountain and trees indispensable in a tropical climate. There is then two kind of regulation: from an omnipresent authority through technology and from the space itself. But some people break laws once in a while; in March 15 of 2008 19 people including Singapore Democratic Party secretary Chee Son Juan held a demonstration at Parliament House in the context of the “Tak Boleh Tahan” (in Malay “I can’t take it anymore”), a campaign launched by the party to protest against the raise of living costs in Singapore. The police threated, the protestors stayed, the police arrested, the protestors were sued, defending themselves using the Singaporean constitution and their right to “enjoy the guarantees of freedom of assembly and expression”, in vain, this right seems to be applied only in the small area of Hong Lim Park. The quest for evasion and divertissement that the visitor explores in Disney universes or New cities is also a part of what Lipovetsky calls “Hyperconsumerism”, the contemporary way of consuming, that goes beyond necessity. Indeed, western societies link consumption and happiness, buying and pleasure or accumulation of goods and success, blurring in minds the limit between the “un-buyable” and “buyable”. Themes parks and in particular Disneyland were involved in this transformation of our daily life, by promoting a culture of buyable divertissement and immersion spectacle through a “built” imaginary world. But to get into these heterotopias the visitor need to pay for a ticket, and will be solicit to buy by-products, an idea of consumerism omnipresence concretized by the “main-street” that shapes the entrance of every Disney park. It is a place for animation, parades but above all shops; cafés and arcades border the street. Imagineers worked on it according to Walt Disney wishes, designing houses with first floors smaller than real ones and the second and third stories even smaller (2/3 scale) to create an optical illusion and let the visitor feels taller than he really is. In celebration, the idea of the typical American Main Street that is evokes in Disney parks, where commerce used to take place as social life –both strongly linked- is also the central point of the city. Moreover it is the only really animated street, reproducing the memory of the old American Main Street: social life only happens with commerce around. You don’t need a ticket to enter Singapore, but its access is reduced since it’s an island with only one land access from Malaysia, and highly controlled with a strict policy of immigration. The country used its strategic location in the Malacca strait to develop itself. Now the second busiest port in the world, its harbor dating from the 14th century, it became a major port city under the British colonial rule and with the port established by Sir Raffles. Its transit city status, a place where people and goods stop by, gives it a certain rhythm of time. From the rooftops of the financial district at night the sea is lit by thousand of ships, waiting for approval to offload their cargo. Politically independent but unable to survive on its own; it is for example dependent on Malaysia for water supply. A dependence that citizens feel, but visitors don’t see. Singapore’s weapon for survival is therefore also economy and consumerism. It obviously shaped the island, from the focus on luxury building and glossy downtown, to the efforts to relegate the backstage away from it. Consumption is promoted in Singapore by an omnipresent culture of the mall, western invention in the continuity of the arcades. This type of place has a peculiar status on the tropical Island: from icon (Marina Bay Sands) to privately owned public space, the mall has several functions. They are important landmarks that Singaporeans use to orientate themselves in the city, each name corresponding to an area in their mind: the “Orchard Central”, “Marina Square” or “Bugis Junction” malls are located in Orchard Road, Marina Bay, Bugis MRT for example. This semiotic, that could be analysed under the eyes of Michel de Certeau is important to understand the power of consumption in Singapore. The French philosopher distinguish three functions of the names: the believable, the memorable and the primitive, writing: “they designate what “authorizes” (or makes possible or credible) spatial appropriations, what is repeated in them (or is recalled in them) from a silent and withdrawn memory, and what is structured in them an continues to be signed by an in-fantile (in-fans) origin” . The names of the malls draw a visualization of the city, being more important than cultural landmarks. The semiotic of the city by the shopping places of Singapore is not reduced to numbers, but to initials, easier to remember and pronounce, Marina Bay Sands becoming “MBS” for example. Initials are strong, short, easy to remember, and the reflection of a dematerialization of the space. In opposition to this, we could underline that condo housing have names - “The Callista”, “The Interlace” – but HDB are called by numbers -“Block 9”, “Block 192”- giving the idea through the name of individual housing space versus storage/mass housing. With 144 malls built around Singapore, they are impossible to escape. Most of the MRT stations are connected to one, allowing the user to go directly from the subway to the mall, creating a disconnection with the external world. Place of meeting and considered as “privately owned public space” people tend to gather more inside that outside in the tropical city. The end of the public space is a contemporary thesis explored by Michel Sorkins: malls are for him the result of homogenization, privatization and “aestheticization”. In Singapore, providing air condition and seats malls seem to be open to everyone, no police or security guards are visible, but surveillance is still present through high technologies, creating a feeling of openness and security among the citizens, getting closer to Disney’s conception of the control of the space. Invisible in the themes parks as well, or in Celebration, the cities are under surveillance and security is maintains by the system of society of control as we saw previously. Pedestrians are welcome in the island, public spaces exist, but the policy regulates them: walking around is easiest in the shopping area, no difficult sections to cross unlike in the residential areas, and when it is needed connections exist through malls. Consumption is made easier through walkability, in a constant search of attracting masses to consume more. Such as the middle class is the public targeted in Celebration and Disneyland, it is necessary for Singapore to keep it as the main class. Tremewan argued that the PAP government developed and maintained a middle class through an “educating for submission”, ensuring the success of a certain elite and assuring the hierarchy of the society. Indeed education is one of the apparatus of ideologies, and it is well used in the island, and help to shape the minds about consumerism as a key for happiness and individual accomplishment. It develops the illusion that happiness is then accessible for all through work and meritocracy, and that leisure is a reward. The “disneyfication” is not only limited to the appearance of the town today, but we could say that the phenomena touched architects as well. In Celebration and Singapore most of the building could be define as iconic, in a quest of individualization of the architectural gesture, the need to build in order to be noted. Important architects where hired for Celebration public buildings such as Philip Johnson or Venturi Scott Brown while Singapore became an international laboratory that call star architects from all over the world. Moshe Safdie is one of them and designed Marina Bay Sands, that opened in 2010, and is the world’s most expensive building with a cost of 4.7 billion US$. From his master thesis-realized housing complex “Habitat 67” to the complex to Marina Bay Sands, Safdie bartered his experimentations and research for an architecture more accessible and luxury. The project itself can be seen as an icon of commercialization of architecture and ideology of consumerism for diverse reasons. First, its program and organization: a hotel located in the three towers and a sky garden, swimming pool, clubs and restaurant on the upper part composes the 19 000m2 building. The rooms of the hotel in the three towers and their external corridors reminds the Familistère of Godin and its system of surveillance. A bridge breaks through the building, linking Marina Bay Sands Casino and Mall to the hotel and the Garden by the Bay, allowing the visitor to see the internal space without “entering” the building through the main entrance, letting the shiest and ones who can’t afford the visit or restaurant to enjoy it. The complex is completed by the ArtScience Museum made by Safdie as well. 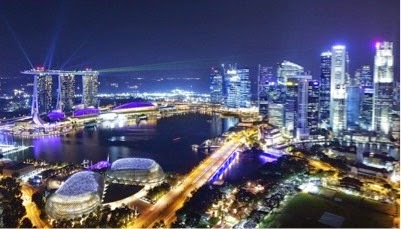 You can visit Singapore by visiting MBS: the whole experience of the city is condensed in one place. 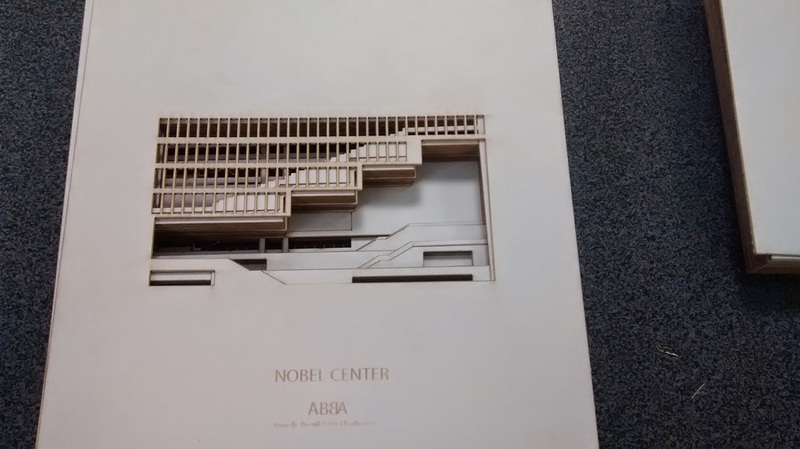 Second, the replication of itself: inside of the building, the three towers seem connected, while from the outside it’s impossible to not see the duplication of the same edifice. Safdie explained that he wanted to create windows to center the view to the see from the street in between each tower, a view that you can’t see because of the lack of distance due to the mall. This duplication reminds the twin towers, and of simulation and says “The two towers of the WTC are the visible sign of the closure of a system in the vertigo of redoubling, whereas the other skyscrapers are each the original moment of a system continually surpassing itself in crisis and challenge”. But if the Twin Towers were two, Marina Bay Sands’ towers are three. In Celebration and Singapore you are surrounded by the loss of the authenticity and aura because of the industrialization explored by Walter Benjamin and used by Baudrillard to illustrate the imitation that is around us. By the reproduction of ancient styles architecture became another way of consumption, letting the inhabitant in the doubt of the authenticity. Marina Bay Sands is not the only building made by duplication in the city, but replication is not limited to an exact duplication in the island, for example Daniel Libeskind use the same shape of a tower but in different for his Keppel Bay Towers. Third: there is a consumption of the space through a specific experience. In Disneyland we buy an experience, a moment, and it is exactly what provide MBS: the infinity pool became an attraction in itself, and the access is reserved for the hotel guests making the bath a bit expensive. Visitors take “selfies” of themselves in the pool, with the CBD view behind, such as others visiting Paris take a picture in front of the Eiffel Tower. The experience is reduced to a picture, a trophy to show, such as the shot took at Disneyland, and buyable at the exit of the attraction. The idea of themes is the last point we will explore, that became part of the DNA of Disney theme parks and rub off the cities. Walt Disney used his own experience to define them, and created in his parks five universes: Frontierland, Adventureland, Tomorrowland, Fantasyland and Main Street, a reflection of globalization at a small scale, each one have its own characteristics and summarize a period or part of the world. It is a way to democratize culture but is also “historicide” since periods and cultures are mixed and summed up. In Celebration the Disney company only allowed six exterior styles: “Classical”, “Colonial Revival”, “French”, “Coastal”, “Mediterranean” and “Victorian, giving to the city a global theming that also create a past and memories through the connection of the design of the buildings to History and Nostalgia. 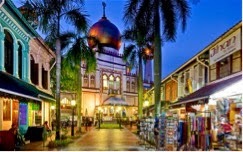 In Singapore the theming is different, it is through the URA conservation program started in the eighties to keep the shop houses of Little India, Arab Street, Chinatown and colonial houses in the center. The conservation of these specific areas each one related to and ethnicities is relevant in a city that claims to be multiculturalist, and use this “heritage” as a proof. But this program reduces ethnicities into architectural and cultural clichés since they only kept the building they saw as “relevant” (means in a way that seemed to represent a culture) and converted them into place of shopping and specialties restaurant. Arab Street for example is described on the government website only by its commercial aspect “today, the shops sell jewelry, sweet perfumes, carpets, curiosities, rattan and other basketware, preserved food and other delicacies; spices, flower-shops, Muslim restaurants, and money-changers too. Travel agents here specialize in the travel needs of Muslim pilgrims heading for Mecca”. 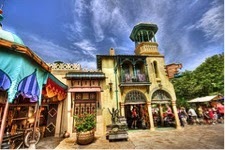 Comparing it to Adventureland in Disneyland that is the 3D realization of Aladdin’s movie world, one could have a doubt: which one is suppose to be in papier-mâché, which one is suppose to be a cultural heritage? The conservation-theme areas of Singapore -in a contrast with the high-rise building- are colorful, smells are spread around and pedestrians are welcomed: there is life and events unless the other part of the city. People get easily attached to it since theming reach emotions, touching our quest for authenticity in a globalized world. Coming back to Lipovestky and his idea of hyper consumerism he wrote, “the cult of authenticity appears as the new way to dream and buy the contemporary Homos consumericus”, which means that the consumer wants a singular experience, goods or items that will allow him to feel individual, that will comfort him. The theming in Singapore gives to the city a feeling of being a huge mall, since buying spices on the second floor of the mall is converted to go to Little India, going to the basement to find exotic rice becomes going to Chinatown: one can pick up a bit of every culture according to the zoning. The theming is leaded by the restoration policy. The URA’s restoration guidelines give an idea of the process and how architecture can help to manipulate: about the front wall “However, it must not be a blank wall as it gives a passive character to the streetscape.” or “Traditional paint schemes and colours are to be used to recall the historic streetscape”. The expression “gives a passive character” and “recall” interrogates us on the meaning of these buildings, this kind of restoration leading to façadisme. If History was the driving concept for the western cities, the Function is the driver for the Generic city: the reproduction of the building touched a larger scale and we assist to the production of exportable models of the city. Disneyland was created in the United States in 1946, and 70 years later it spread around the world, one opened in Paris, Tokyo, Hong Kong and Shanghai, making small intervention to fit into the different cultures. 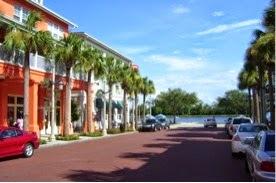 Celebration was not reproduced but is part of the New Urbanism movement, and other cities are built on the same model such as Seaside. In both case, the city is thought as a medicine, offering community and moral values through a controlled urban planning. About Singapore, Rem Koolhaas wrote almost 15 years now “Singapore Songlines: Portrait of a Potemkin Metropolis… Or thirty years of Tabula Rasa” using it as a case study. The paper focused on the architecture of the city in the context of globalization and its impact on the urban form. He declared “the past is too small to inhabit” in an interview two years ago, coming back on the virulent ideas he drew of Singapore, seeing opportunities instead of problems. Yes, historic centers are limited, and assuming the trend to urbanization will continue old cities will have to density or new cities will have to emerge. At the lecture he gave at the National University of Singapore (NUS) on the 22th of August of 2014, he exposed the challenges of the island – that in the meanwhile seems to have forgave his critic, giving him a place to experiment and build up his projects such as The Interlace or collaborating with JTC on the new master plan of the city. Functional city, Singapore born at the same times ideas of Modern Architecture were growing up in Europe. Largely inspired by the CIAM, the city had the economy and the power to develop Modernist ideas on a large scale, it is in opposition to Celebration and its nostalgia of the past. 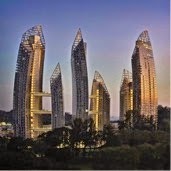 Singapore & Celebration are both planned with a town center but there is a suburb atmosphere in both. Urban form and typologies are one of the key points that make them Generic Cities: both are easy to read, by their architecture and urban planning. Comparing Epcot, Singapore, and Celebration’ plans help to figure out the simplicity of their infrastructure and roads. Epcot, directly emerged from the Howard’s Garden city and is radial, Singapore is a ring city and Celebration has a main downtown and then is spread into clusters of houses. Disney’s Government called “Ready Creek Improvement District” and the URA in Singapore succeed to organize the whole city. Building’s façade and appearance are in the continuity of the readability of the space, based on Sullivan’s principle “Forms follow functions”: each type of building has a type of morphology. “The Celebration Pattern Book” conceived by Ray Gindroz and the UDA –members of the Congress for New Urbanism- defined architecture rules for Celebration imposing their ideas at a global scale. Well-known postmodernist architects were hired to design Celebration’s main buildings, Philip Johnson for the City Hall, Venturi Scott Brown for the Bank, Robert A. M. Stern for the Hospital and Michael Graves for the Post Office in a total control of the appearance. Singapore used this readability and the different functions are easily differentiable. The creation of an architecture for the masses, simple and efficient is an ally of the commercialization of it as we saw before. Cemeteries are an intriguing result of this process. In Singapore, while visiting the cemetery located in Commonwealth you will probably shocked by the contrast between the tombs and the HDB. 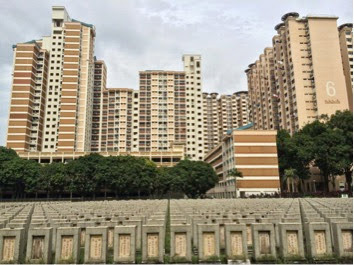 It seems that tombs are the horizontal density of the HDB vertical density, that the repetitive urban network is a standard for alive and dead Singaporeans. Cemeteries became generic, all tombs are the same here, and you orientate yourself thanks to plans where a number indicate the tomb you want to visit, reducing the dead to a number. In “Moving House” the Singaporean moviemaker Tan Pin Pin shows how the continuous development of Singapore impacts on cemeteries as well, in a movement that don’t spare any single piece of land, even sacred, eating territory like a blind machine. People have to change their ritual, cremation becoming mandatory, and ashes of the ancestors ending up at home if the cemetery has to disappear. The URA controls the habits through the control of the land. Urban planning is the greatest asset of the city according to the Singapore’s government, justifying therefore any request of land, destruction of cemetery, with a paternalistic justification to the Singaporean: it is for their own “good”. The quest of development and expansion is also present through publicity and “brandism”, crossing the sea and shared around through newspapers, publicity, talks and government initiatives. 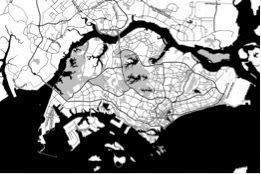 Architecture + Urbanism published recently a special Edition: “Singapore: Capital City for Vertical Green” a true promotion of the Island, showing how the government apparatus could lead to this success. The image of the city is polished, its representation is green and blue while rain is present half of the time, in order to seduce a large public. Now, Singapore wants to affirm itself as a model to follow. At the 12th Venice Biennale, commissioned by DesignSingapore Council, they presented a pavilion named “1000 Singapore: a model of the compact city” and the CNN titled an article about it “Singapore: a model for the world to follow” making explicit the idea. The exportation started in China with the Tianjin Eco-City and collaboration between the town government to develop the new city based on Singapore’s social development, economic promotion, urban planning and transport, public housing, environmental management and water management. The DNA extracted is easy to apply elsewhere because of its autonomy toward a site and thanks to the centralization of the urban planning power. Indeed the URA controls the urban planning, HDB the housing, the MND the social development, the LTA the transportation. Malaysia, Vietnam or even countries of Africa are on the waiting list, and urban experts from other countries are sent to visit it and learn from it: such as Disneyland, Singapore wants to replica itself and impose its own vision of the future around the world. The city-state is a manifesto of quantitative over quality, of a quest of happiness through glittery facades and an attempt to respond to the new issues of urbanism in regards of the population growth. It is a collage of ideas, an accumulation of “the best of” places around the world, living together in this fast moving “bricolage”. You can find everything in Singapore, every goods or typologies, every ethnicity or food: living in this city reminds sometimes “It’s a small world” attraction of Disneyland. Tawdriness high-rise buildings and cheap social housing replace the papier-mâché setting, but the ambiance remains: it is a constant show and spectacle. Foreigners in transit might fall in love with the façade, visitors in an aim of shopping be delighted in this mega polis simulacrum. After exploring the backstage, glitters disappear, but after experiencing the suburb Singaporean offer you to discover a true appropriation of the space: people weave in and out the void decks, keeping their traditions burning Chinese paper in the front of the HDB, turning air con malls into public spaces: the space defined by the authorities is used and diverted: a city based on a tabula rasa doesn’t mean that its inhabitants don’t have or don’t produce memories. The “disneyfication” of Singapore is of one city among others, and might be an ongoing on phenomena. From Walt Disney discourse in “Epcot/Florida Film”, a spot recorded on October 27 of 1966 a few weeks before his death. Jean Baudrillard, "Simulacra and Simulations," in Selected Writings, Mark Poster, ed. Stanford: Stanford University Press, 1988, pp. 166-184. “Disney Hidden World” TV show Special Assigment, February the 8th 2013. I explored this feature in details in my previous paper « Disney consumerism and playful architecture ». Lee Poh Onn. (2003). The Water Issue Between Singapore and Malaysia: No Solution in Sight. ISEAS Working Papers on Economics and Finance No. 1. Singapore: Institute of Southeast Asian Studies.